My name is Roy Henning and I build the engines and cylinder heads at Mofoco. I have been in the industry for over 30 years and have built over 2000 engines and 1000's of cylinder heads. I build anything from 1200cc to 2332cc. I sell longblocks and complete engines, no shortblocks. In the picture is a 2110 Outlaw Street engine with custom fit and powdercoated sheetmetal. This engine dyno'd at 140hp. We offer exclusive products here at Mofoco like our 100% Made in the USA cylinder heads and hydraulic lifters. I also video each engine being test run. During the test run, I check for good oil pressure, no leaks, set timing, and adjust carbs. Buy directly from the manufacturer, not an online warehouse!! 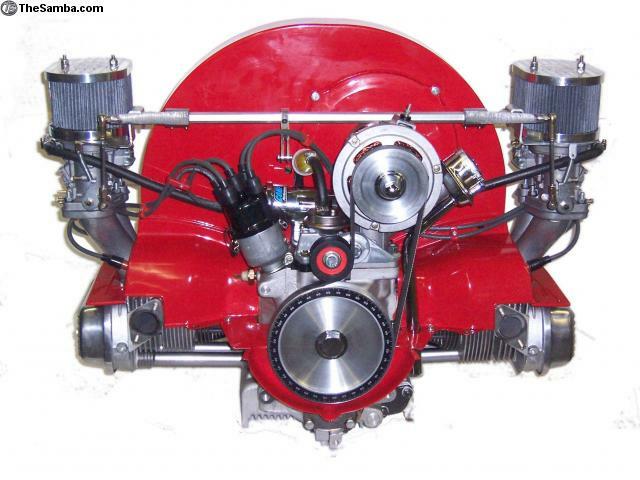 10% OFF SALE----I am currently offering 10% off any and all parts that are ordered in addition to a complete engine. That includes transmissions, disc brake kits, interior, carbs, exhaust, wheels.....whatever you need to complete your project. Please feel free to e-mail me direct with any questions, comments, suggestions, or for a custom price quote. Build times are minimum 8 weeks. Remember you are ordering a custom built engine, not a bookshelf from Walmart and quality always takes time. The engine pictured above costs $5600 as is. This is just being used as an example of the kind of work I do.